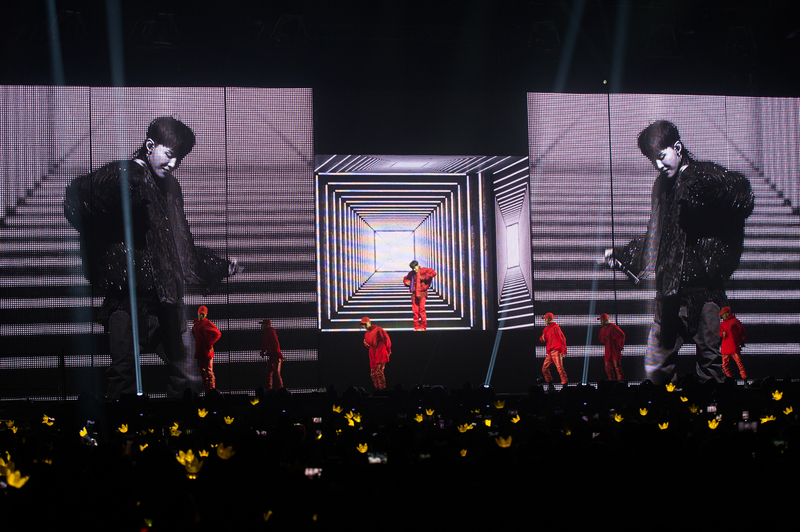 Over the last weekend, G dragon draws about 7000 fans to the Singapore indoor stadium. Singapore VIPS were given 2 awesome concert shows by G-dragon for his World Tour (ACTIII, M.O.T.T.E). It was two wonderful nights to be able to listen to G dragon songs in throughout the whole concerts. G dragon started off the concert by singing his first debut solo song, Heartbreaker, the concert lighted up with a sea of yellow crown lightsticks as soon as the concert started. Not only Hits songs like One of a kind, Crayon were performed but his EP( Kwon Ji Yong) songs were brought up to stage . It is the first time Singapore VIPs could listen to the new songs live, majority of the fans can sing along with G dragon too. During the concert, G dragon shared about the concept of the new EP (Kwon Ji Yong), he mentioned that it was a very individual project. He met with obstacles and had a hard time working on it , and was also worried that the fans have difficulty in understanding what he wants to deliver through the EP( Kwon Ji Yong). Fortunately, the fans are able to understand the message behinds the EP ( Kwon Ji Yong) , and he was really happy about it. G dragon also mentioned that this might be his last performance before he is enlisting, and the fans were shouting “dont go , stay in Singapore”. The most looking forward songs during the concert will be the title track “Untitled, as this song is different from his previous performances which emphasis on dance, disco atmostphere, it is a slow song which shows his singing skill. G dragon made use of the concert VCR to deliver the messages he wish to tell the VIPs, to let them know more about him as Kwon Jin Young. Korean updates would like to thank IME to offer a chance for inviting us to 2 days concerts.